Mrs. Mary Ray Thompson '49 chose to honor the love of her life, Otis William Thompson Sr. '49 one year after his passing in 1988 with the establishment of a scholarship in his name at NCCU. Almost 20 years later, she would forever link her name with his when she endowed the scholarship with a donation of $25,000 and named it the Otis William Thompson Sr. and Mary Ray Thompson Endowed Scholarship. With Mary's bequeathal of $50,000 in 2011, the endowment is now valued at more than $90,000. The annual earned interest is awarded to the sophomore biology major with the highest GPA. The Thompsons' two surviving children, Otis Jr. and Brenda Thompson-Elzey hold indelible memories of the couple Brenda describes as "the best parents in the world." Despite long suffering from rheumatoid arthritis, the children would arrive home to hear their mother singing while she cooked. Mary beautifully decorated their home, entertained often and loved to play bridge. Otis Sr. was an avid vegetable gardener and handyman who could build anything. Both were devoted to their Greek organizations. 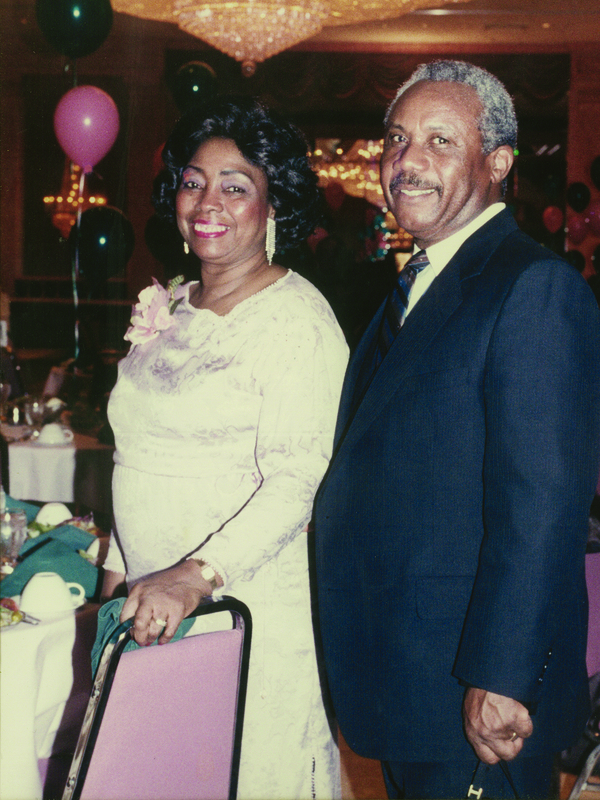 Mary was a charter member and executive of her chapter of the Alpha Kappa Alpha Sorority, while Otis was active in the Omega Psi Phi Fraternity. The Thompsons did not demand that their three children, including Brian who died in 2008, follow their paths and pursue careers in education. "My father was a principal and my mother was a teacher but they never imposed on us what we should be," said Otis Jr. "They gave us the freedom to be what we wanted to be." Mary Ray graduated from West Charlotte High School and Otis Thompson from Kannapolis' George Washington Carver High School, in 1945. They met at North Carolina College where they earned their Bachelor of Science degrees together in 1949. Mary majored in accounting and Otis, in biology. Upon graduation, Mary immediately began her career with the U.S. Treasury Department in Washington, D.C. She left the federal government to begin her teaching career in the District of Columbia Public School system in 1963. In 1974, Mary earned her M.Ed. in guidance and counseling from Bowie State University and after 26 years of service, she retired from teaching in 1989. Otis taught for two years in Kannapolis and left to enlist in the Air Force. In 1955, he was honorably discharged from the service and married Mary. He completed his Master of Science in biology from the University of Illinois the following year and began a 32-year career serving in the District of Columbia Public Schools, rising to principal in 1967. Otis was principal of Hamilton Junior High School at his untimely death, weeks before his 6oth birthday. Otis Jr. recalls that wherever they went, "even at the World's Fair in New York or on vacation, anywhere, someone would recognize my Dad and thank him for helping them or for being a good principal." Brenda remembers her parents' elegance and their obvious affection for one another. "They were the last Romeo and Juliet — walking in the garden holding hands, cuddling on the sofa," said Brenda. "They were so much in love." The legacy of the Thompsons' love continues on NCCU's campus and through the accomplishments of their only grandchild, Brianda Mary Ellen Elzey. Brianda is studying chemistry and will fulfill her dream of attending medical school with their financial support.